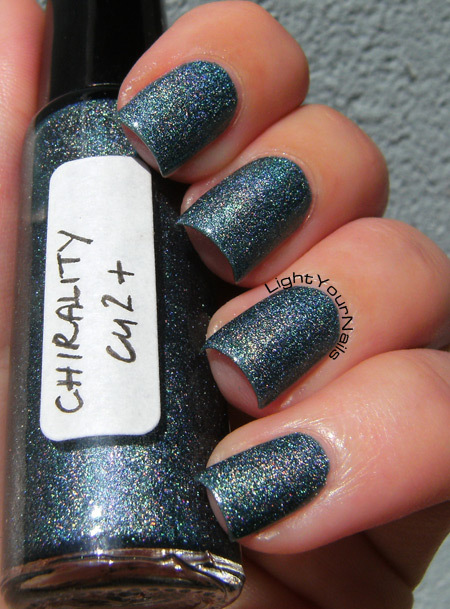 The other side of holos: Chirality Cu2 | Light Your Nails! This is quite an unique color. Suits you so well. And yes, it's durability is impressive. I agree! Quite a unique colour! The shade is interesting here, I haven't seen too many of this kind. This is gorgeous, such an unusual shade! Thank you! It's unusual for sure! I don't own any Chirality but this certainly makes me want to! I am always so envious of your flawless sun shots. Thank you Roselynn! I should grab more, too! That's such a pretty polish. It looks so good on you! ohhh my eyes are blinded by the holo goodness!!!! LOVE! I can see that this shade is a bit of a chameleon, which makes it all the prettier! It's so unusual and rich! This shade is so cool. I understand your difficulty in describing the colour! It should get a new name ;) It looks beautiful on the both of you. 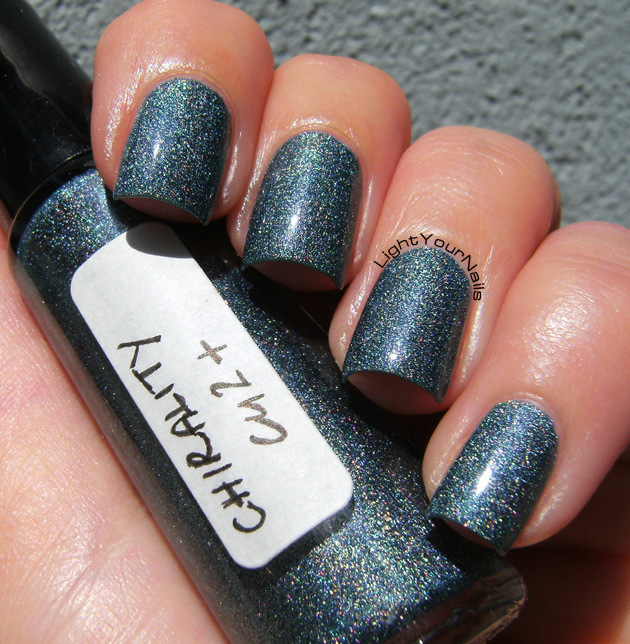 I have a black linear holo from Chirality and I love it. Some day, I'd like to get my hands on her Cereal Killer collection, lol! She has some gorgeous stuff in her shop! Oh gawd this is amazing!! I've never seen anything like it!!! It's pretty unique, isn't it? I know I've wanted it since the first swatch I've seen! Non avevo mai fatto caso più di tanto a questo marchio, tu e Cristina però mi avete fatto cambiare idea. Davvero difficile da descrivere, come colore, per non parlare dell'effetto holo...Comunque bellissimo. Grazie! Secondo me ha delle chicche questo indie, tipo anche il Kale che Cristina ha già swatchato! 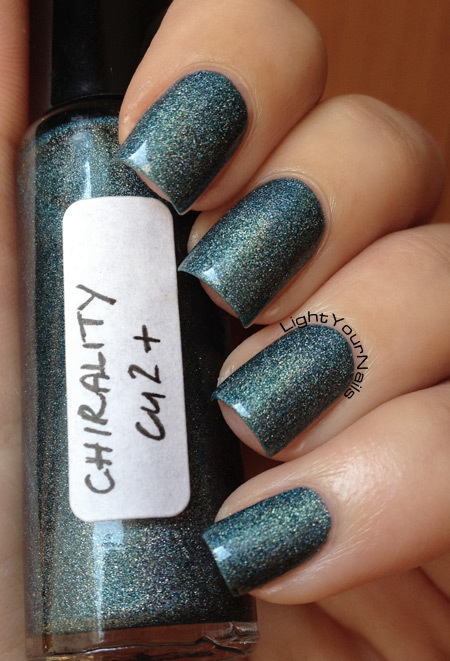 An old favorite of mine from Chirality! This is such a beautiful polish, I love it! Ma sai che è molto probabile? Perchè l'avevo proprio puntato da subito! This is really pretty! I don't think I own a holo this colour! It's such a unique shade! Veramente bellissimo, interessante la tua spiegazione su come stenderlo e su come rende! !